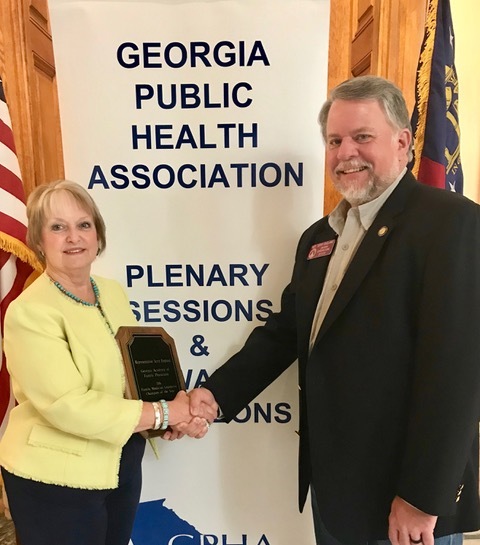 Rep. Terry England receives the Legislator of the Year Award from Dianne McWethy, President of the Georgia Public Health Association. Rep. Terry England (R-Auburn) has been recognized as the 2017 Legislator of the Year by the Georgia Public Health Association (GPHA) in recognition of his numerous contributions to the profession and to the health of all Georgians. The award presentation was announced in front of more than 500 GPHA members at the association’s recent annual meeting on Jekyll Island. As Chairman of the House Appropriations Committee, England has supported a pay rate increase for public health nurses as part of a recruitment and retention effort to keep highly qualified registered nurses from moving to better paying jobs in the private sector. He also backed funding for 12 new environmental health specialist positions, a move that will shorten the time for approval of septic systems for new construction. Additionally, England was instrumental in approving a seven-year phase-in of public health “hold harmless” funding for counties that would have otherwise lost financial support from the state under a new distribution formula. A long-time supporter of public health and rural initiatives, Rep. England serves as Co-chair of the House Rural Development Council which recommended legislation to improve healthcare access in rural areas. 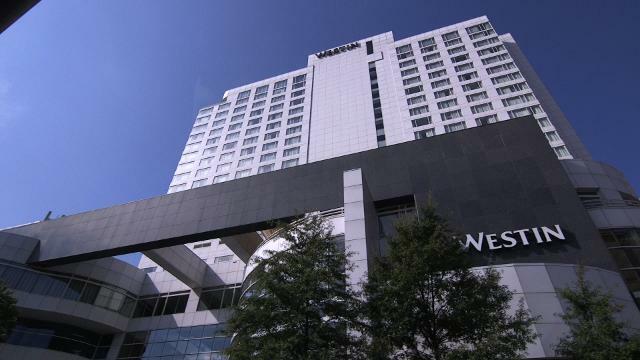 He is also the former Chair of the Southern Legislative Conference Agricultural and Rural Development Committee and remains on the Executive Committee of that organization.